The Rascal P320 Compact measures up to half the size of most powerchairs in todays market. With a quick release battery pack and easy to dismantle components, transportation is simply taken care of. 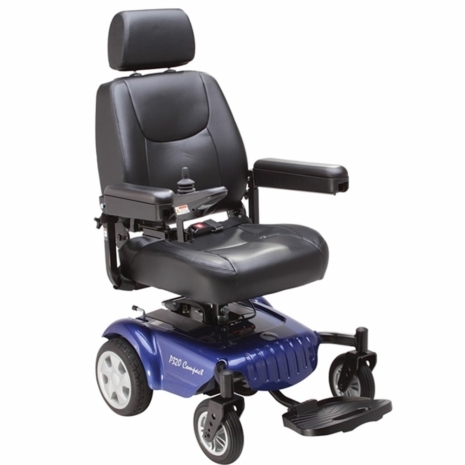 This slim line Rear-Wheel Drive powerchair offers superb traction and outstanding manoeuvrability with a desirable turning circle of just 97cm.